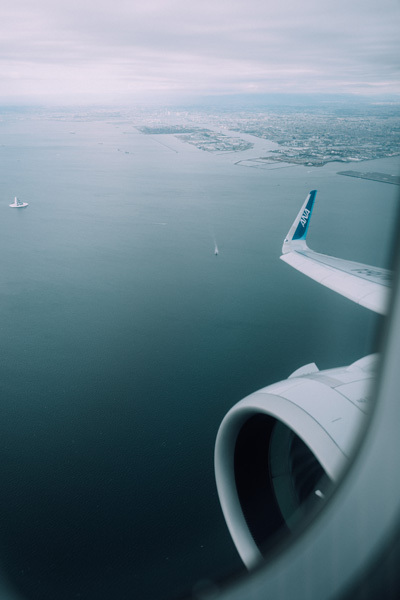 I had never flown with ANA before, and was pleasantly surprised with what a great flight this was. I got an amazing surprise at check-in that I was upgraded to premium economy. 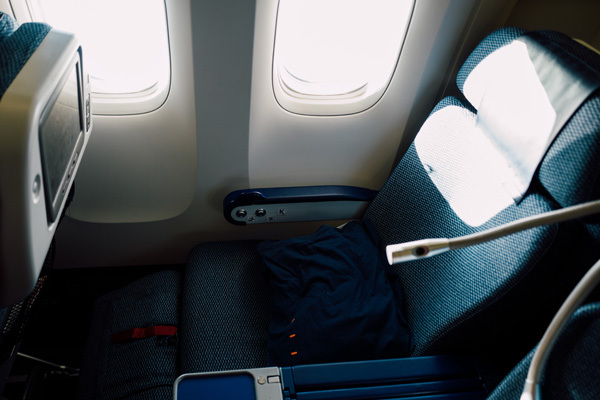 The extra leg space meant that I fell asleep really easily. The food choices were great with both Japanese and Western options, and I even got treated by an extra leftover dessert from Business class. Shibamata, widely known as the setting for the Otoko wa Tsurai yo (It's tough being a man) movies, with the shitamachi downtown atmosphere remaining as it was in the movies. 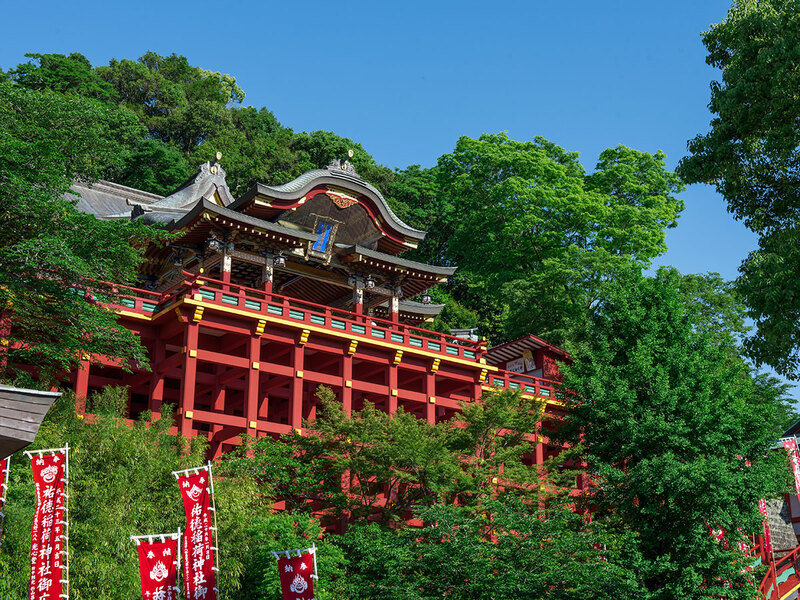 Shibamata Taishakuten temple has striking architecture, such as the Taishaku-do hall and the Hon-do main hall, that bustles with people during the Koshin Day festival. 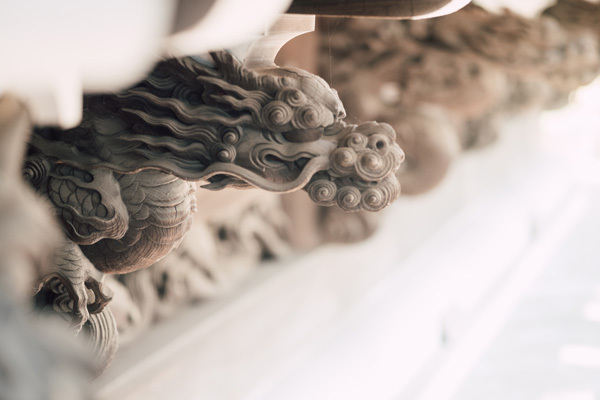 The sando shopping street has many historical buildings dating back to 1912, and it is recommended that you walk the street while eating homemade kusa (grass) dumplings and rice crackers. 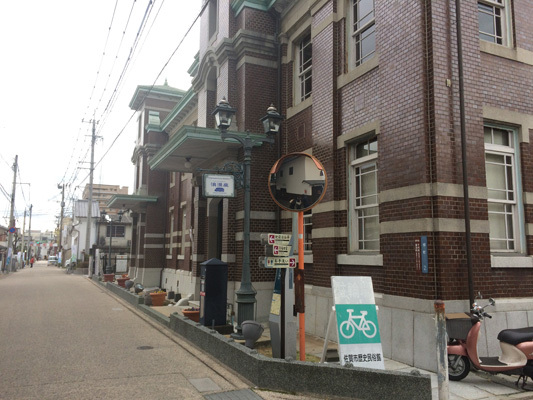 There is a statue of Tora-san, the main character from the movies, in front of the train station, and you can find the set materials used to film the movies at the Katsushika Shibamata Tora-San Museum. At the Edo River nearby, you can still board the only Edo-era ferry in Tokyo at the Yagiri no Watashi crossing. As soon as we stepped out of the train, we were introduced to the local hero’s Tora-san and his little sister’s bronze statues. After that, we went to Taishakuten Sando, amd my eyes got caught by the old school sweet shop at the corner of the street and I started photographing away the old bubble machines and old the wonderful things that were surrounding them. We visited the gallery and admired the unbelievable wood carvings on the building, then went for a walk around the gardens, before walking to our next destination, Katsushika Yamamoto-tei, where we could admire some beautiful gardens whilst drinking some traditional tea. 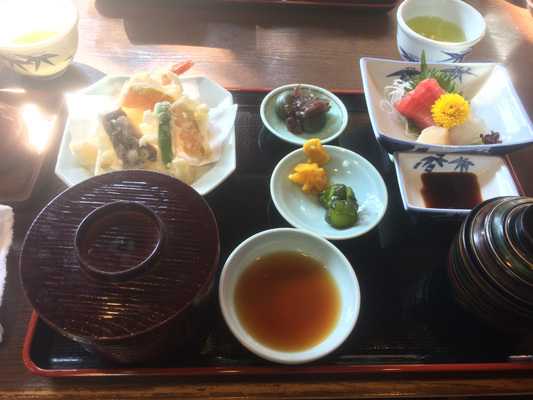 We had lunch at Yebisuya, which has a history of 230 years, and enjoyed some of the local specialty, eel. On the plate we also had a selection of sashimis as well as rice and miso soup. Right in front of the restaurant, there was a nice little street food counter with smokes flowing of the best smells. It was a feast for the nose as much as for the eyes. 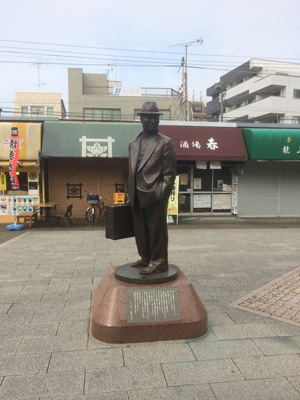 Walking tour of Shibamata: I really enjoyed this section of the tour – nice to be away from some of the more obvious and crowded tourist haunts. I found the temple and gallery especially interesting. 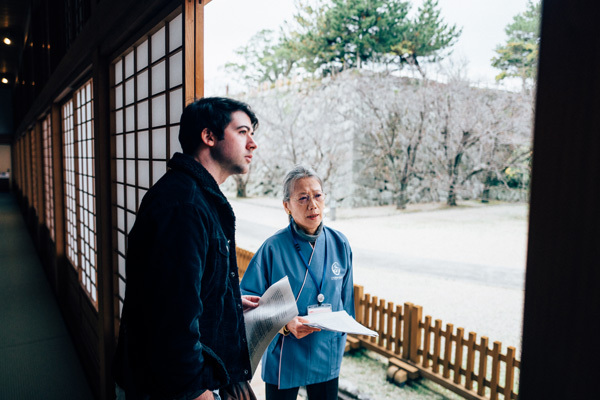 Our tour guide was well informed, and happy to share her knowledge on aspects of Japanese culture that aren’t necessarily obvious to foreigners. The Showa-themed snack/games place was fun too. Lunch: Lunch was great, I think the sashimi/tempura set was a good choice. 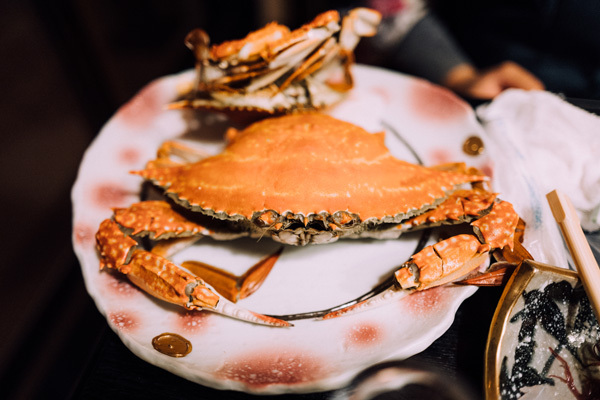 I can see that newcomers in Japan would be interested in the “authenticity” of the place, which delivered on what most people think of as classic Japanese food. The owner was also very gracious to talk about the history of the restaurant and show us the garden out back. 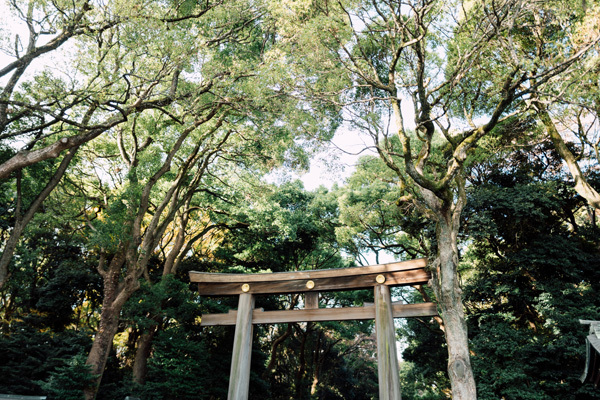 We bow and step through the first imposing Torii door, and walk through the forest to the Shrine. The playfulness of the elements in that forest were instantly hypnotising. The way the light played with the shadows of the trees, and the calming sound of the wind blowing through the leaves, the flowing water in the streams, everything seemed so perfectly orchestrated to help you find yourself in a state of mindfulness. I'd been here before, but it’s always a pleasure. 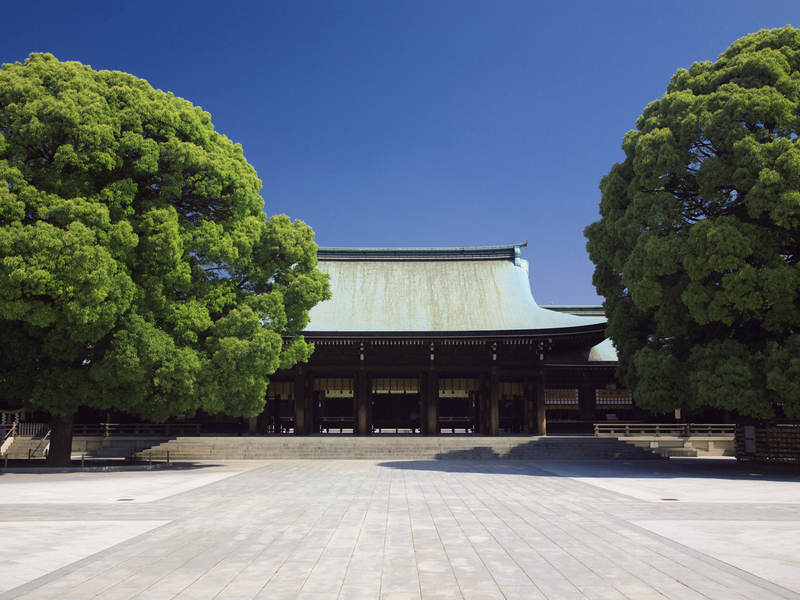 I think focusing on the distinction between Shinto and Buddhism was a great way to engage people in the uniqueness of Japan’s attitudes towards religion. When we visited, there were many people praying or writing an ema so that the year will be a fruitful year. 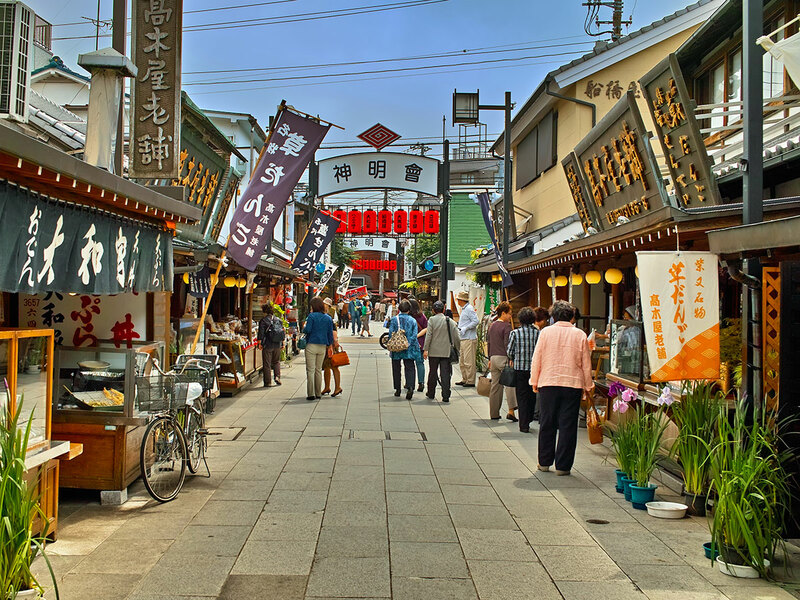 Omotesando and Takeshita near the shrine seem to be a must-see for first-time visitors of Tokyo. 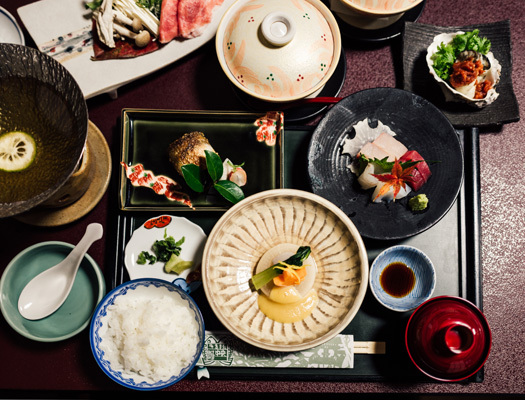 ☆Izakaya dining experience: After spending most of the day walking around the streets of Tokyo, dinner time was the most welcome time of the day. On the menu, the Izakaya experience of the Japanese take on a gastro pub, with great quality food (the rare chicken was definitely a winner for me!) and drinks in the heart of the city. We shared various meals tapas styles, and enjoyed some great beers and sakes. 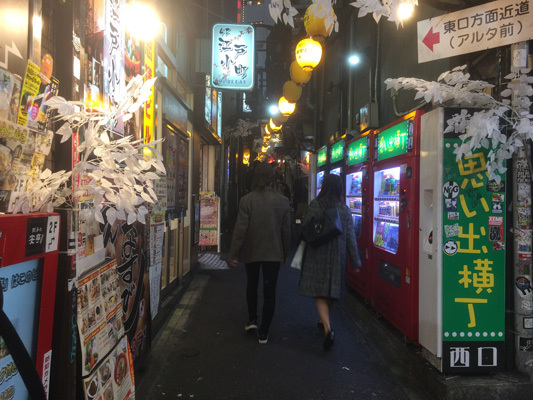 At Shinjuku, we walked through the Golden Gai and the Kabuki-cho. My eyes didn’t stop taking mental photographs of all of these places, but also record some sounds and smells that we’re so not used to here anywhere in Europe. Izakaya dining experience (dinner): Very nice, if a little too much food. 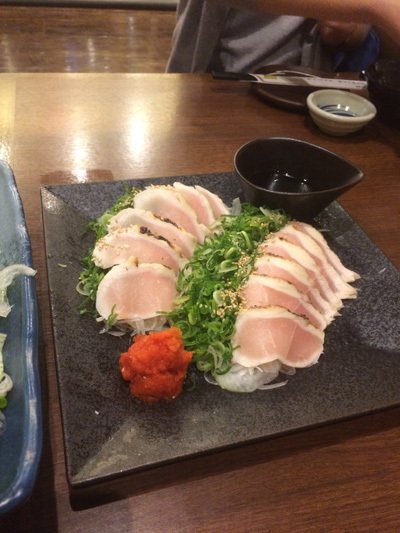 To dine at an izakaya is a good experience for people who are new in Japan. I can see its use as a slice of “real” Tokyo. This meal stands out to me as more relaxed – the kind of place I might go with friends. Walking through Shinjuku is always interesting. Going through Golden Gai before it got busy for the night was especially interesting. Kabukicho also makes for great photos at night! I always bring my friends here when they visit from overseas. 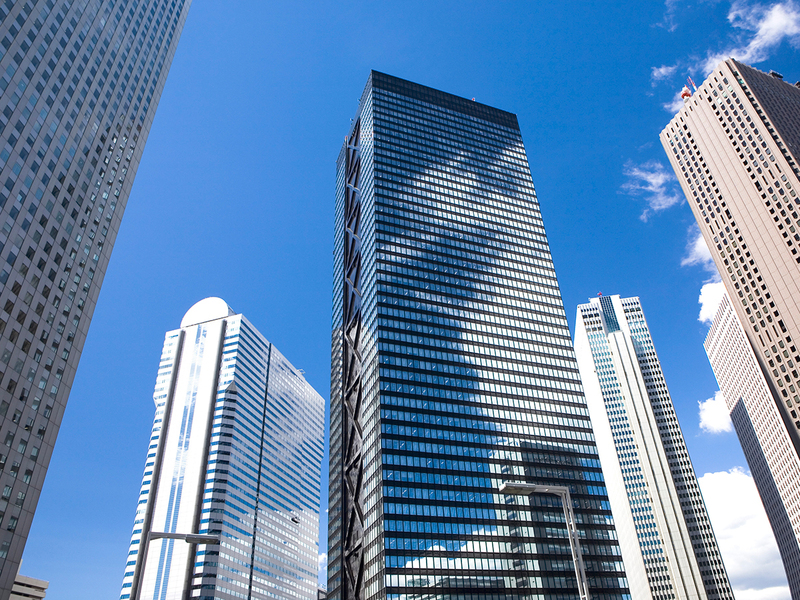 We stayed at the beautiful Villa Fontaine Tokyo Shiodome, situated right in the station of Shiodome that has very easy train access to the city and the airport. The room comfort and amenities were great, with modern looking furniture, comfortable mattress and bedding, as well as pyjamas for guest use. Room, breakfast, service, etc. 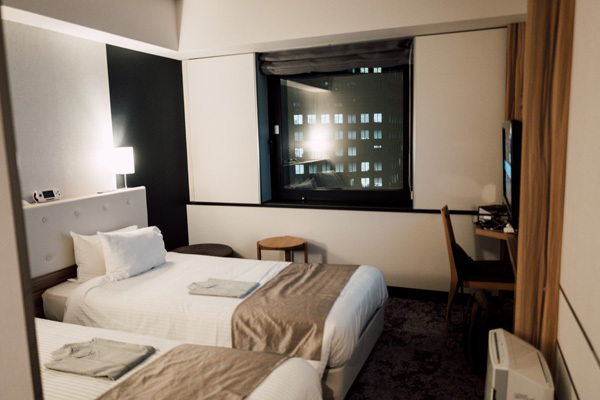 : The room was good, clearly an above-average hotel chain. 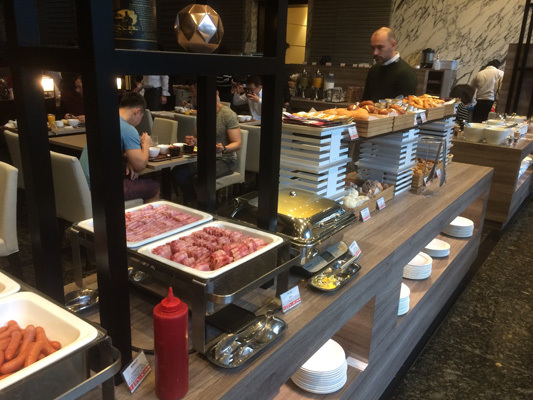 I’m not personally a big breakfast guy, but I checked out the selection, which looked good. 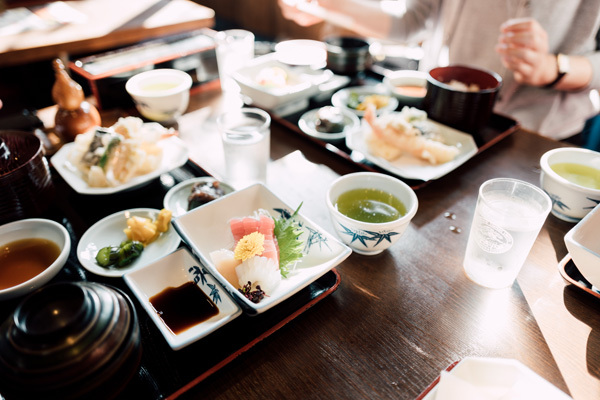 In particular, I’m sure people must appreciate the choice of a wide range of western and Japanese foods – a welcome sight on the first day of a tour, when people aren’t always feeling themselves after a long flight. 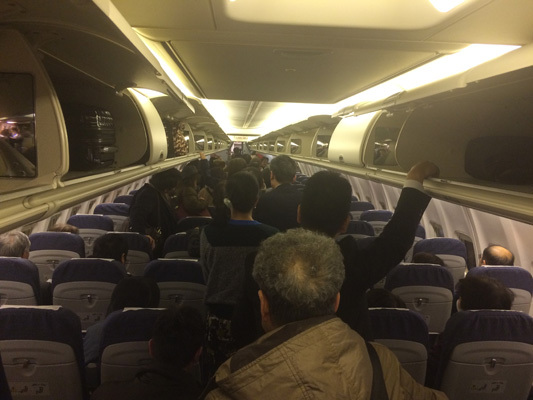 The internal flight from Tokyo was just as seamless as a first class train ride would have been. I napped right after take off, and woke up as we started to land. It was such a comfortable flight. The flights were fine. We made it in fairly good time for an internal flight, though I imagine folks nervous about time would want to get there earlier. In-flight entertainment seemed to work and boarding was no problem. Enjoy browsing the shops brimming with local Saga products, or savor the flavors of Saga at Camphor restaurant, which serves up Sicilian rice and Arita chicken. The lunch menu was one of Saga City local specialty, Sicilian Rice. 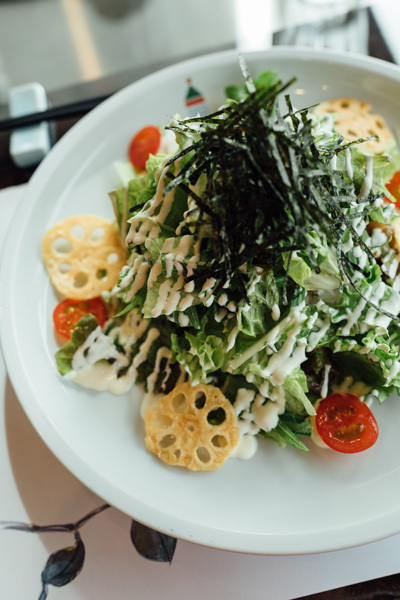 It’s composed of rice, stir-fried meat mixed with vegetable salad, a delicious dressing and some Nori on top, without forgetting a perfectly poached egg hidden in the middle. 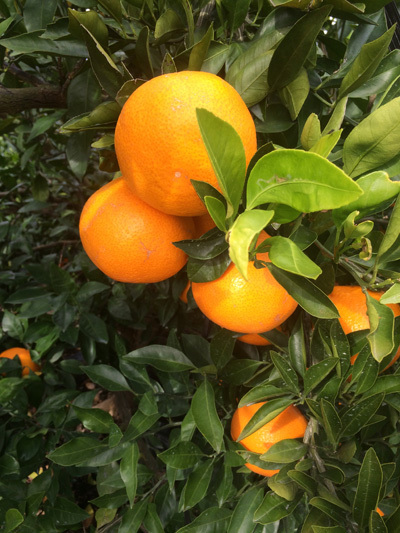 We had an experience making noodles called "Soba" (soba noodle-making), but we also visited the orange groves (which were some of the tastiest oranges I’ve ever had). 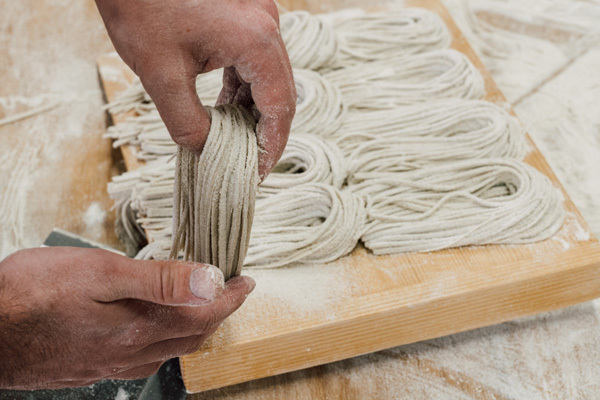 Making our own noodles was a lot of fun, and some were more successful at it than others. 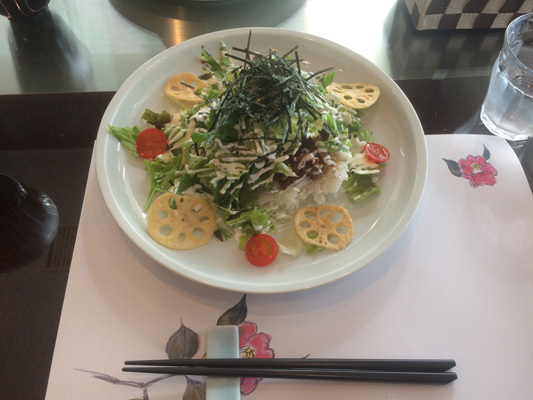 Lunch was delicious – good to start with a local dish. This meal was a surprise hit for me, something I’ll make myself in the future. 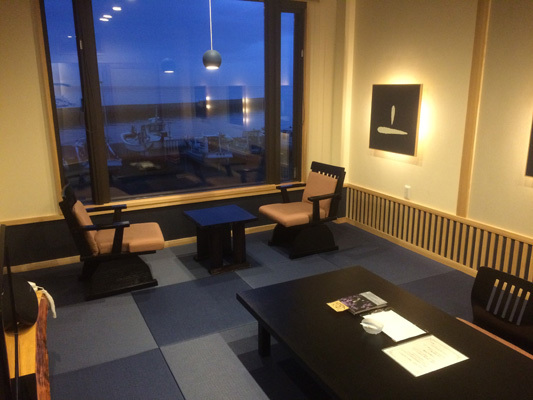 From the restaurant on the roof of the Saga prefectural government office, you can oversee the view of the Saga city, and this was a good intro for exploring the city. 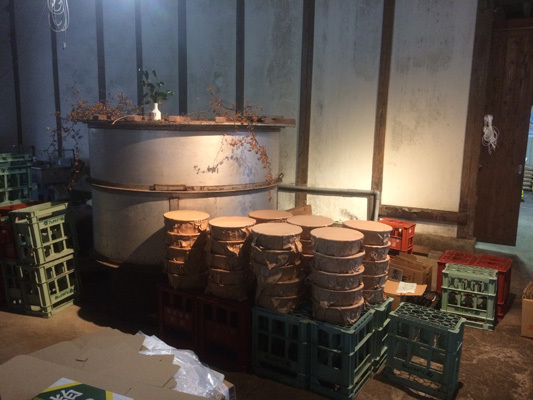 Soba noodle-making experience and mandarin picking at Nishiyamada Farm were an excellent activity. Thanks to the flexible response of the farm's staff, we had a very good time. It seems like a great random date or family outing spot. This factory is one of the last of its kind remaining around this area, and makes its paper from the mulberry trees fibres. 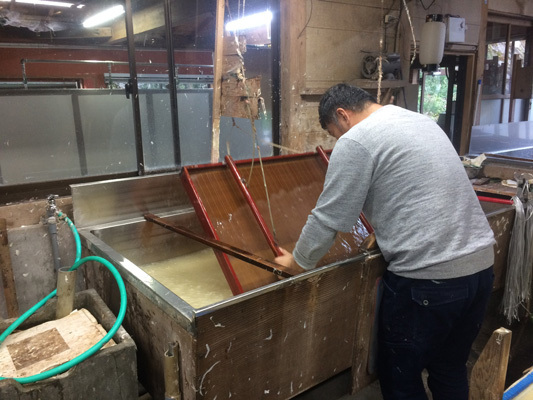 They make Nao Washi paper, which is thick but lets light shine through and that is used notably for interior design purposes, such a lanterns or indoor screens. 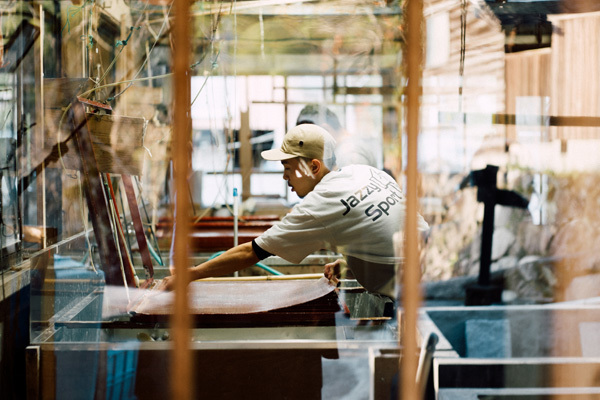 The process is still made fully by hand, just as it was hundreds of years ago. It was cool to see the pros in action and hear about the history of the industry. It was also fun to try myself and see how difficult the process is. 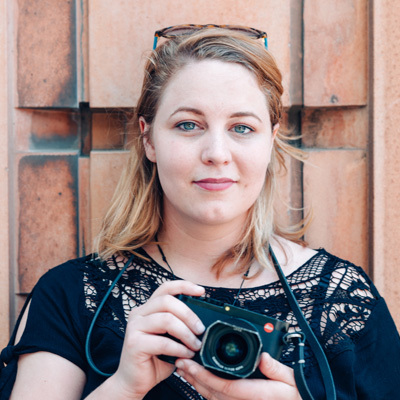 The employees here were extremely welcoming, and I wondered how the interaction would go on with a tourist like me. 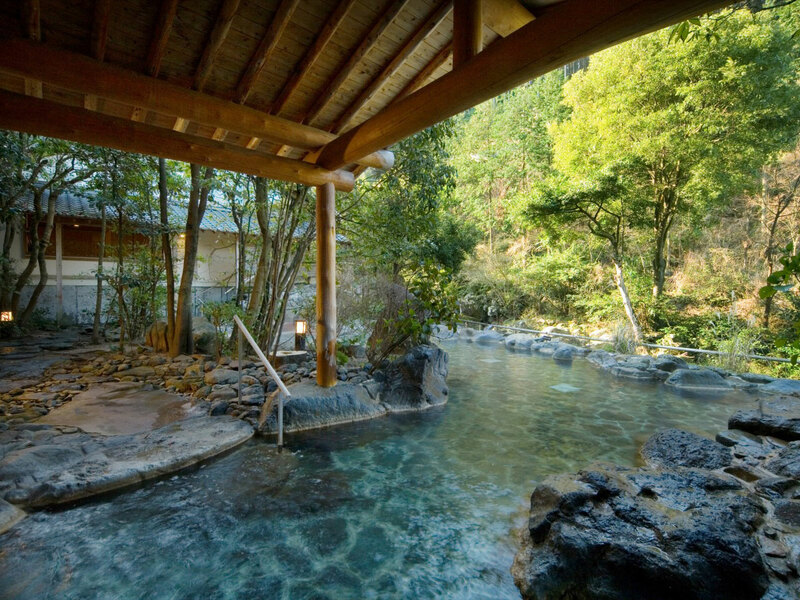 Warakuen: This hotel is renowned for its thermal tea baths. My room was composed of tatamis, and I slept on a futon. I even had my own private bath in the bathroom, which I enjoyed thoroughly. At dinner, we enjoyed a broth infused with it, to cook our Saga Beef, another amazing local product. 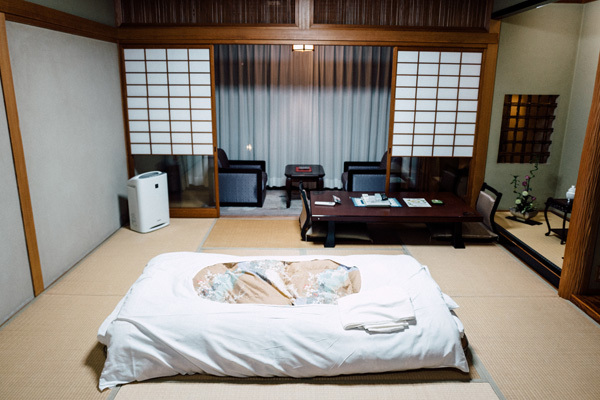 Warakuen: Clearly a very nice ryokan. 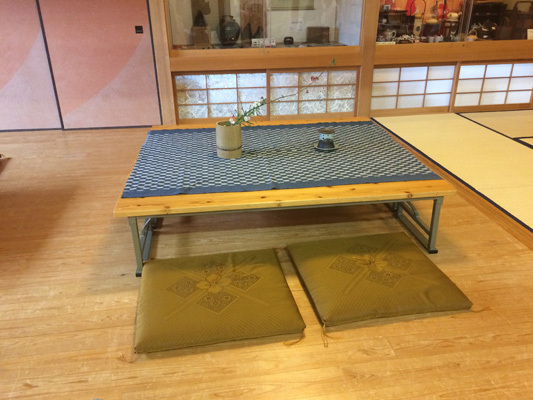 I think there are two camps when it comes to futon vs Western bed – those who feel the traditional style adds to the experience of being in Japan, and those who struggle with the idea of sleeping on the floor. I personally enjoy a tatami/futon setup, so it suited me. 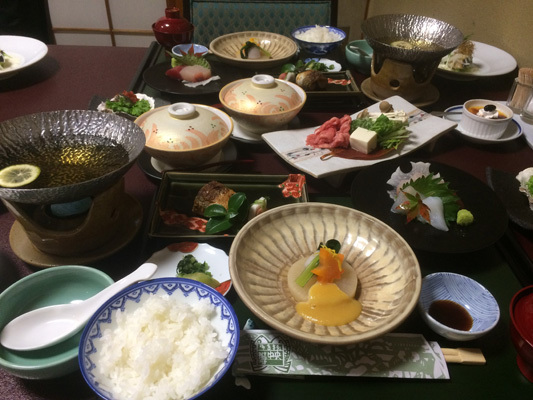 The food was also good – the first of many kaiseki-style meals. I was able to eat almost all the food without any problem. 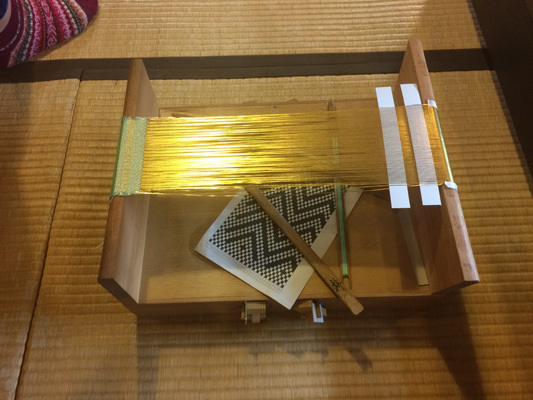 Ureshino Chakoryukan Chaoshiru: We visited the fields of the tea farm, and then made our own designs of tea dyed handkerchiefs. Whilst the fabric was being cooked with the dye, we ventured in the field of widlflowers nearby the fields, getting lost in the beauty of the mountainous scenery. Ureshino Chakoryukan Chaoshiru: The scenery here was great, something that’s obviously non-existent in the UK. I love the rural feel of the area, and listening to a very brief conversation with a local, the area’s tea is clearly a longstanding point of pride. I was surprised at how well managed and staffed the museum was. Seems there are plenty of cute workshops depending on the season too. This Shrine is dedicated to Inari, the kami whose messengers are foxes, and is one of the three largest Inari Shrines in Japan. I was in awe of all that I was seeing around me whilst visiting the Shrine. Every place I looked at seemed more beautiful than the last thing I gazed upon, so rich in culture, and overflowing with a rich culture, and sentiments such as love and compassion. 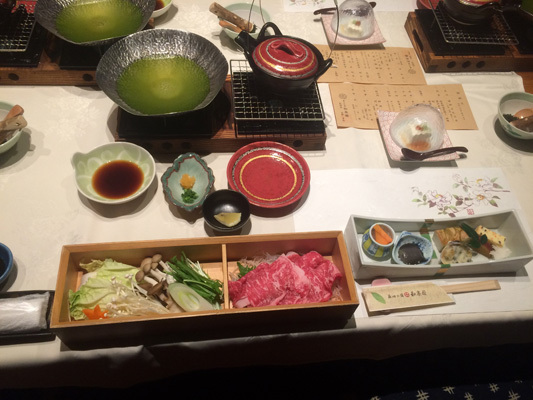 The table setting at the restaurant Kappo Chuo was so fabulous that the food stylists would greatly admire. Everywhere you looked, there was some absolutely beautiful dish with some even more beautiful food on it. We tried some Saké at the renowned Sake Brewery Avenue in Hamamachi. We accessorily also learnt about the difference in grades of sake, and how it’s made, visited a cute little museum of toys from 40 years ago, but the highlight of it all were the ice cups we used to drink all the different sake available in the store. Since we tried a lot of Saké, we all shortly after fell asleep on the way to our accommodation for the night. 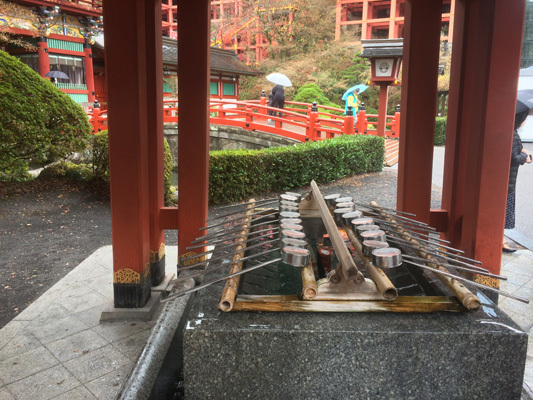 I found this shrine to be at-least on par with the more well-known Inari Shrine in Kyoto – beautiful and much less crowded with tourists makes it one of the most popular attractions. The head priest was very interesting, and his attitude, background, and vast knowledge made the visit all the more enjoyable. If you have a chance, why not try to comunicate with the head priest? Lunch at Kappo Chuo: There was an upscale atmosphere and the meal was splendid. The volume was enough. 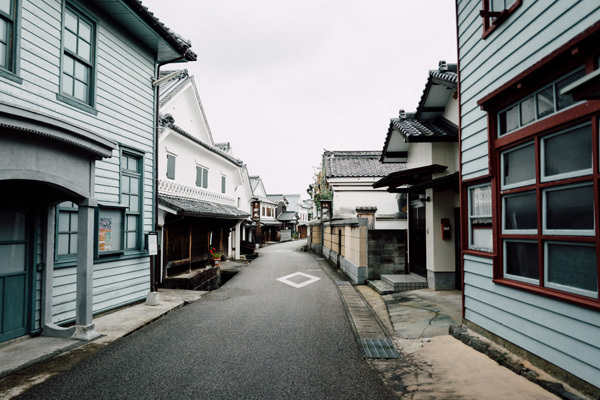 This street is exactly what many people think of when they imagine old-timey Japan. The sake shop owner was clearly passionate about sharing the details of his craft. I found it hard to tell if we were getting preferential treatment because we were there with the tourist board or just because they don’t see that many European faces. I’m a sucker for Showa pop culture stuff, so the makeshift museum at the back of the shop was a nice surprise too. 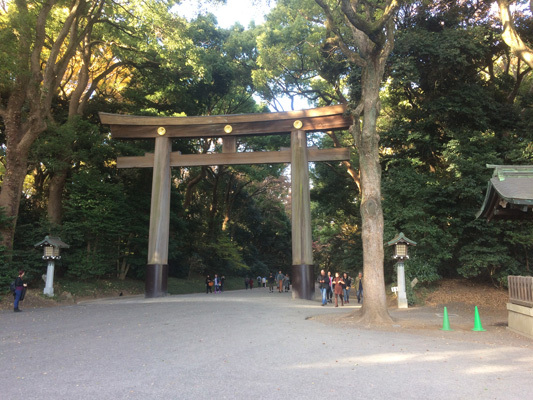 We stopped at Tara to see the floating Torii gates. During low tide, we walked through the successive gates, and then visited some local street food barbecue halls, where fresh seafood is available to roast yourself on a fire. 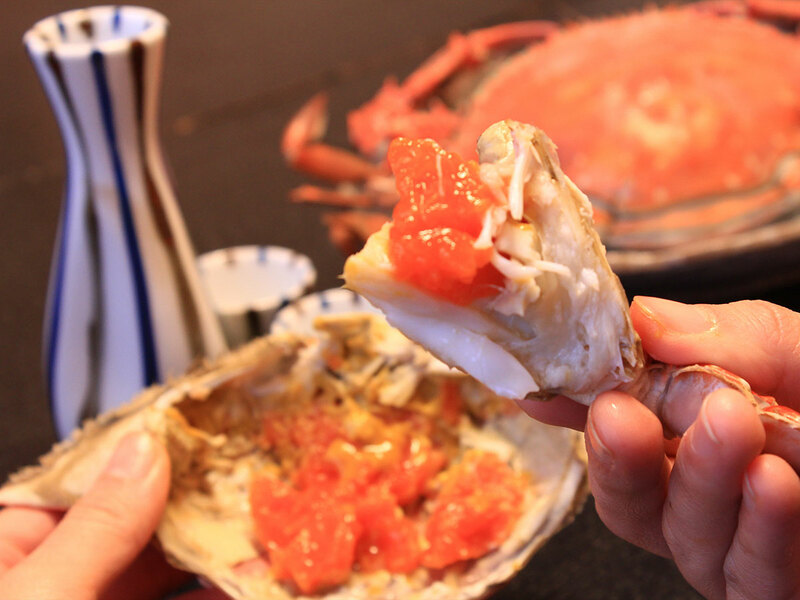 We enjoyed a dinner of crab and seafood, freshly caught in the Ariake Sea. Served in a beautiful dining room right besides the sea, the meal was even more delicious. Quite cool. 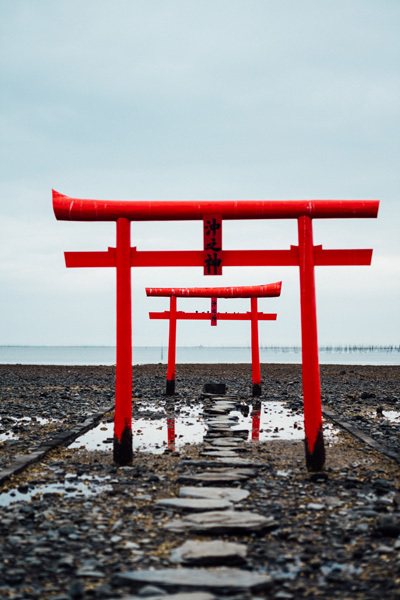 I can see why people who haven’t spent much time in Japan would want to check these out, tori gates like this are iconic. 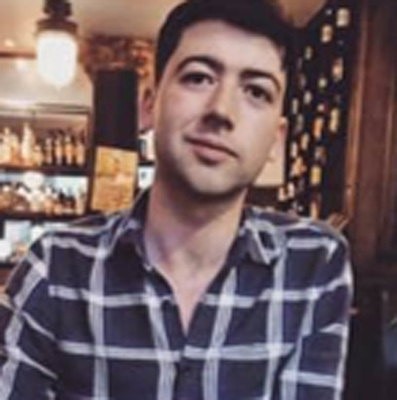 If I were there on my own time, I’d have been interested in one of the nearby grill-your-own oyster places – looked to be some real characters in there. 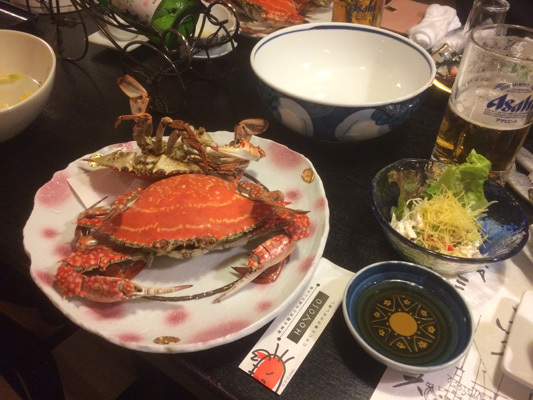 Dinner (kanimabushi): We ate a huge quantity of delicious crab here – possibly more in that one meal than I’d eaten in my life up to that point. The owner was also very friendly, and came over to introduce himself. It was a beautiful hotel, and the amenities were satisfying. I was staying this time in the Western style room, with a direct view over the harbour (and I didn’t close my curtains for the night with a view like this!). Room, breakfast, service, etc. 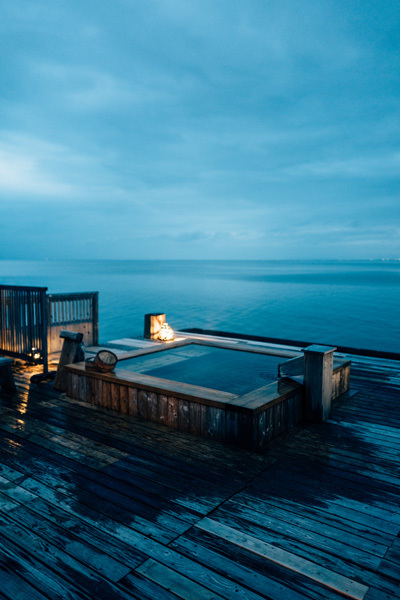 : Loved the room, loved the view, loved the bath. Another great romantic escape, I imagine. I’d have liked to have seen the stars, which apparently are great in that area, but unfortunately it was overcast. If there’s a downside to this place it’s the lack of nightlife, but it feels like a small price to pay. 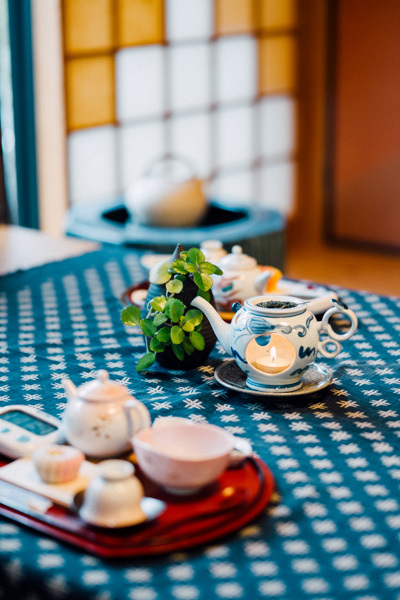 There are buildings from the Meiji period (1868-1912) and the Taisho period (1912-1926) at the Saga Historic Folk Museum, and you can enjoy costume and tea experiences in the retro atmosphere. On top of this, at Hizen Vidro, which has inherited an art created at the end of the Edo period (1603-1868), there is a glassware experience workshop where you can experience the actual process, and create your very own glass. 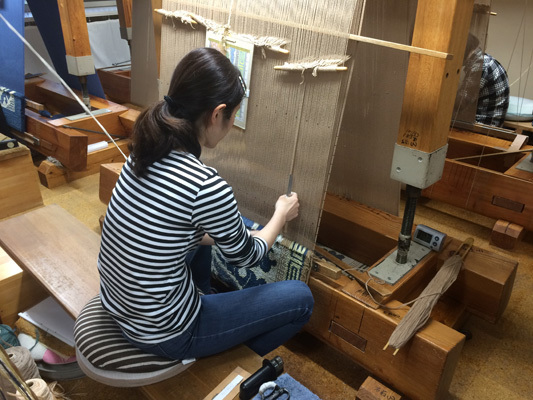 You can enjoy displays of carpets old and new at Nabeshima Dantsu Museum, as well as the attached workshop. 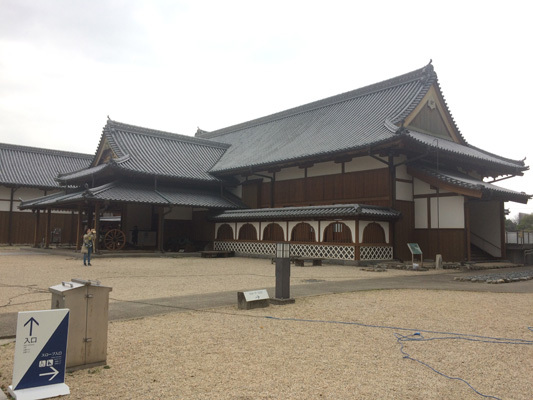 Saga Castle History Museum: The visit of the museum taught me a lot about the history of the Saga region. The Saga Castle in itself had been reconstructed 3 times in the past, and was still feeling very authentic. We visited the traditional carpets, some of the oldest ever made in the country. 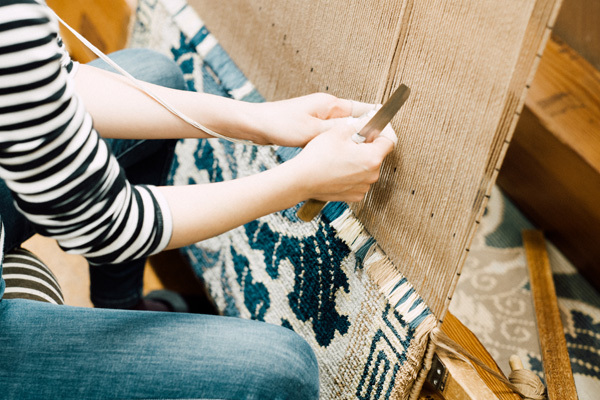 We admired the fine work made by the weavers, and got to try and lay on some of the finest carpets. I definitely one of these in my dream house one day! 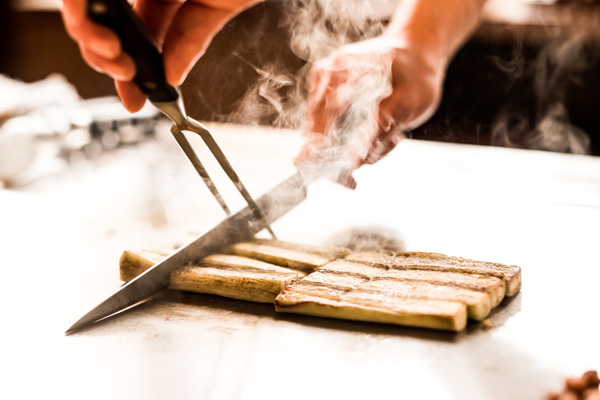 Kira Honten is a restaurant that people wait for months to get a seat at the teppanyaki table to enjoy some of the most delicious teppanyaki you’ll ever try. We wandered in the cold in the streets of Saga city, and saw many beautiful things around us. My eye got drawn by the storefronts and the traffic mirrors we saw along the way, as well as the street vending machines. Everything looked straight out of a movie set and I could have wandered these streets for many hours. Hand-woven Saga nishiki; keychain ornament-making experience: It was very insghtful to learn how to weave with the paper threads. 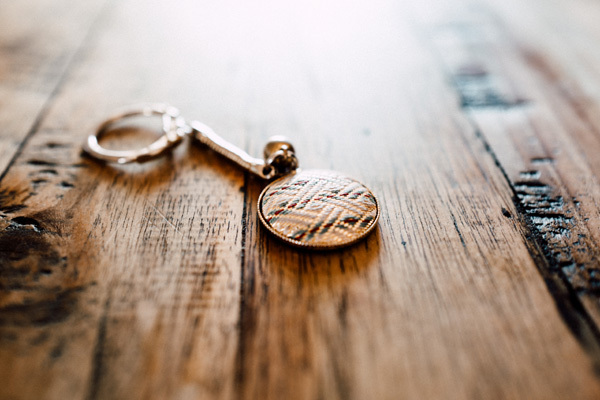 It's a very delicate art, but I loved desiging my own key ring to bring back as a beautiful memory of the place. Matcha grinding experience at Tsusentei: Matcha tea is one of my favourite thing to drink, so to properly learn how to do the ceremony, from grinding the leaves, to whisking it to the right consistency (bubbles) was very fun! Saga Castle History Museum: I appreciated that there was a volunteer English language guide. For people who would like to look around at their own pace, I’d probably advise a friend to explore themselves, or get the audio tour if they felt they needed in-depth guidance. I didn't expect that such nice carpets were woven in Saga. The carpets were so nice. It was interesting to see them being made. 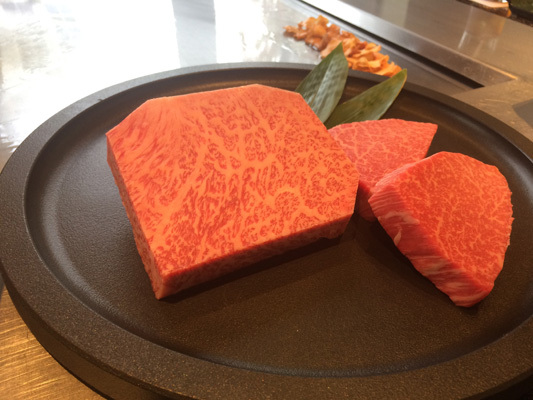 Lunch (Saga beef): Probably the standout meal of the trip. From the ingredients to the setting and staff, it’s fair to say everything was a step above what I’m used to. I can see why foreign travellers come here to try top quality Japanese beef (even though they wait in line). I liked the ambiance of Yanagimachi, but I'm not sure I spent long enough there to full appreciate the significance of the area. 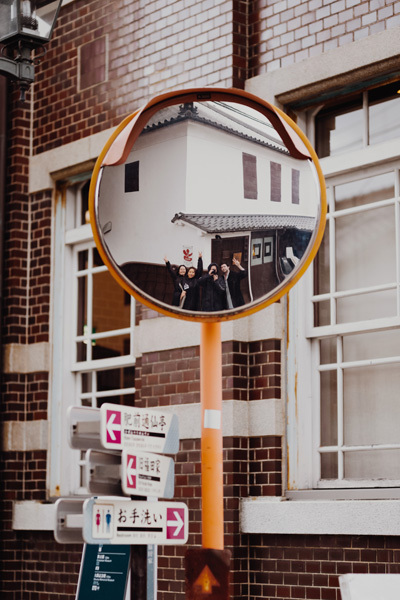 There are so many retro-culture of Japan here, so I recommend that you take plenty of time to stroll around. Hand-woven Saga nishiki; keychain ornament-making experience: A thoroughly enjoyable experience. The ladies in the store were very friendly, and even though their English was quite limited, they cheerfully and clearly explained to us while we were trying to weave. Matcha grinding experience at Tsusentei: Aesthetically the place was great, and the staff were very welcoming. 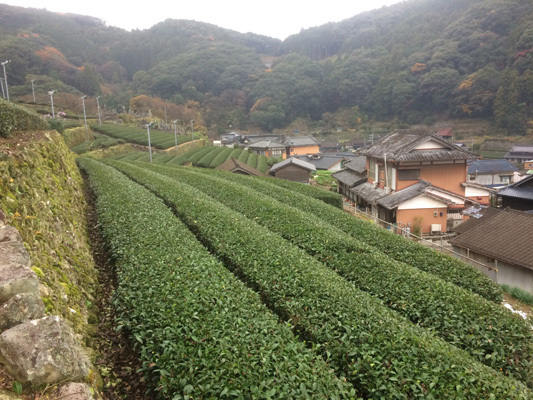 We were introduced to the idea of how to enjoy tea, the area’s relationship with tea, and the historical details. The wagashi we had after that were delicious. 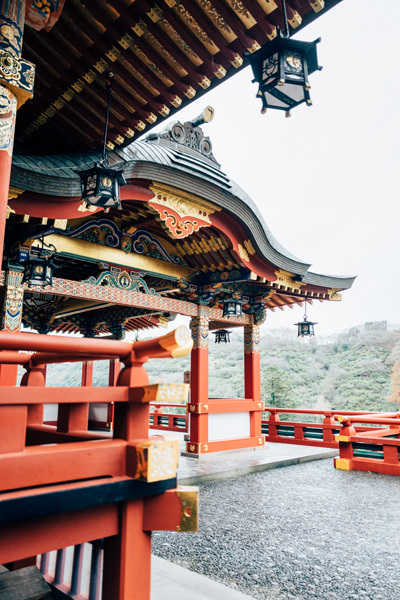 I had never been to Japan before this trip, and didn’t know what to expect, and we all know that’s how the best travel memories are made. Tokyo and its beautiful streets took my breath away, and were a delight for the eyes. Saga was a region full of wonders and amazing people with a lot of knowledge about ancestral craft. 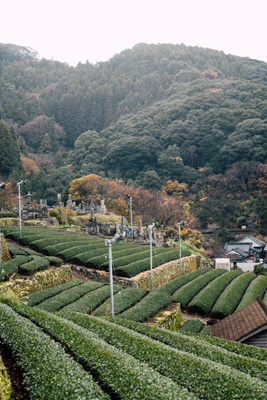 The prefecture is so rich in its culture, and its beauty is astounding. From the mountains to the sea, to the food and the amazing places we got to visit, I loved every moment of this amazing trip and I can’t believe how much we did and saw in such a short period of time. It was just the start of a love affair with Japan and myself. Japan, I’ll be back in 2019, that’s for sure. 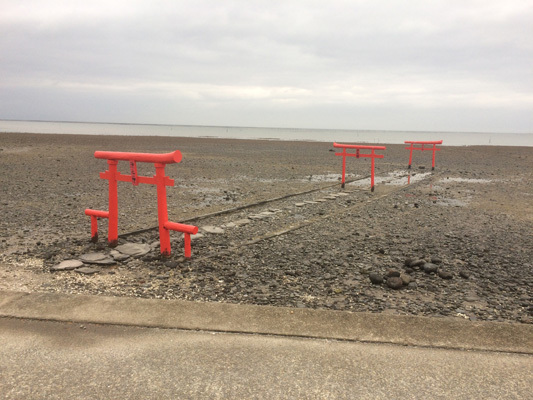 The Tokyo portion of the trip was interesting – I was excited to discover such a unique Shitamachi area, so close to other well-known areas. 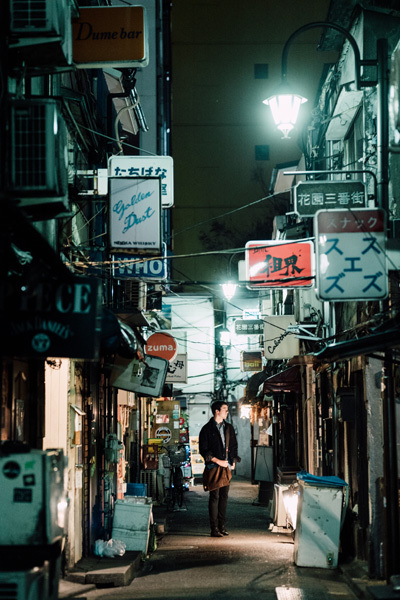 I like Shinjuku in general, it was nice to spend the evening there. 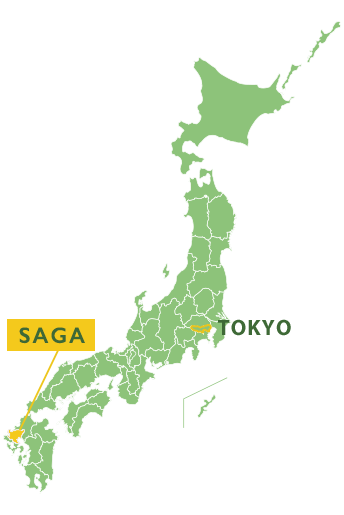 I feel lucky to have been to Saga.The trip was a great way to learn more about Japan. We met friendly, understanding people in genuinely interesting businesses and neighborhoods. I very much enjoyed the tour, and I'd recommend the locations to travelers I knew were visiting the area. 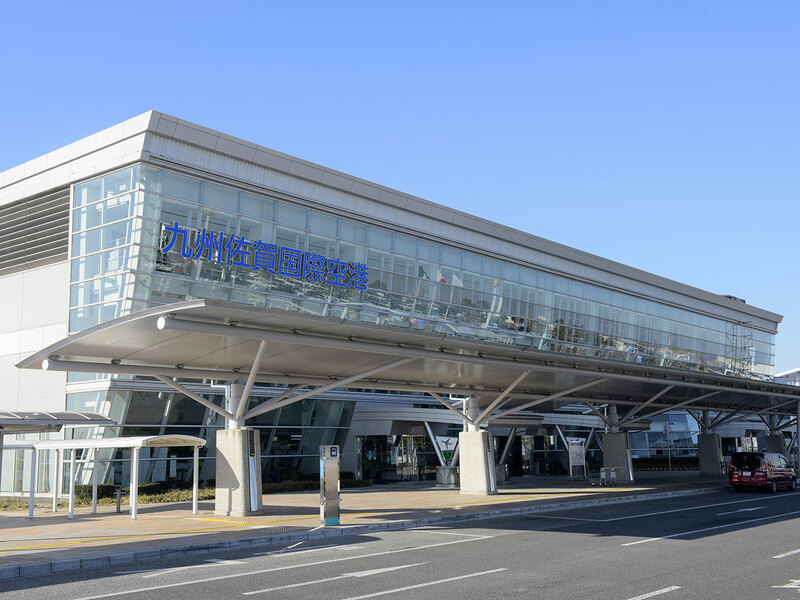 On the first day, we'll be visiting the Old Streets of Tokyo, visiting temples and shrines and walking around Shibamata, Shibuya, Omotesando and Takeshita-dori, before flying South to Kyushu and visit the region of Saga for the next 3 days, where a lot of activities, sightseeing and food will be awaiting us. The tour was well-run in every respect. I enjoyed many of the locations and activities, and would certainly recommend to friends or family visiting the area. InThe Saga portion of the trip was especially interesting. 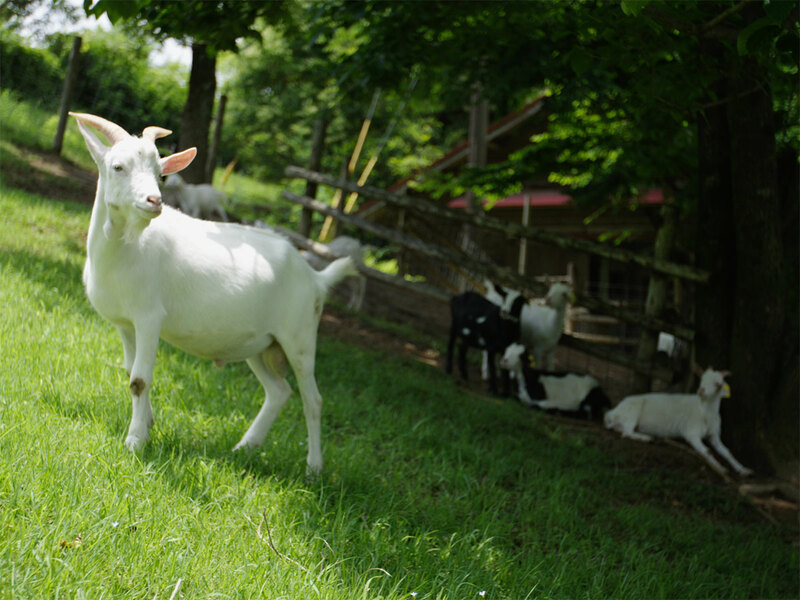 I’d definitely take people to the soba making/farm visit, possibly during a different season to see (and taste) some different produce). 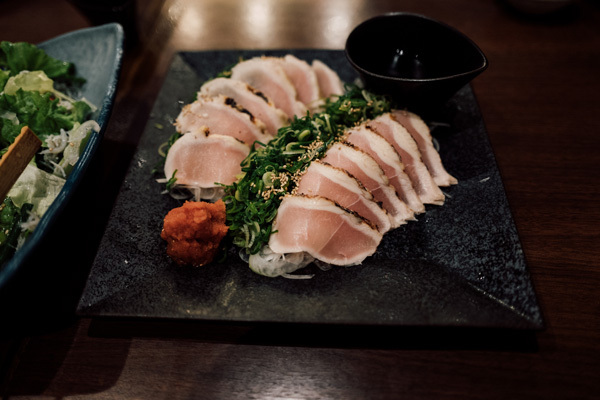 The food in general was very delicious throughout the trip – I’d happily eat at any of those restaurants again. I’ve already directed friends visiting to Tokyo to check out Shibamata. 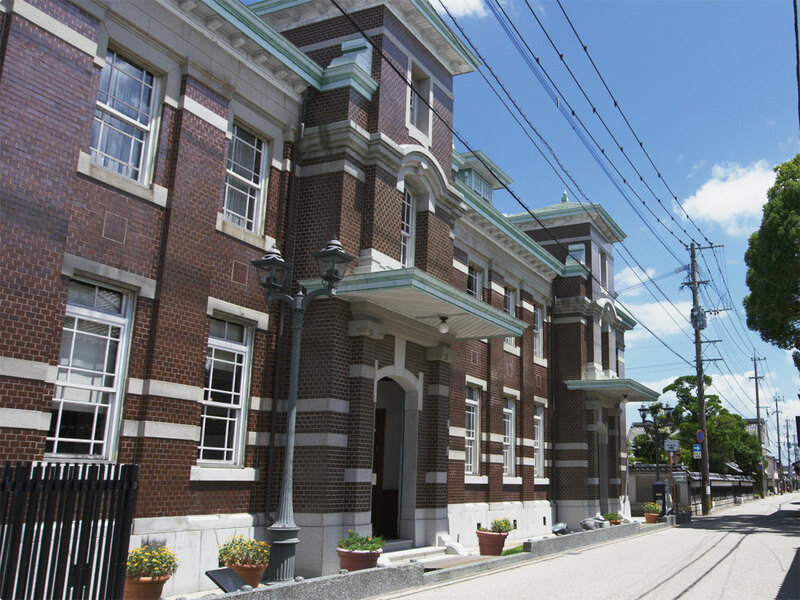 Shibamata is a nice place, as well as Yanaka Ginza and Nezu, that has a traditional townscape.